HM Queen Elizabeth II at the University of British Columbia during the Queen's Golden Jubilee in 2002. She shook hands with and spoke with the person next to me while I managed to take this shot. 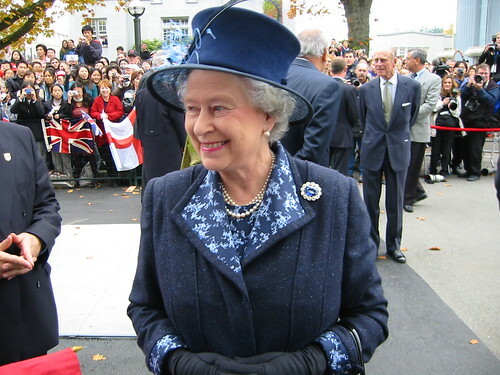 Prince Philip can also be seen in the background.